This weekend, my family and I were in San Francisco for a mini-vacation. No Internet. No newspapers. No TV. Just a heavy dose of rest and relaxation. When we returned home, we were shocked to hear the latest news out of London. All of the headlines of looting, arson and violence were too much to stomach. I know North London. Less than ten years ago, we were living in the small neighborhood of Harringay, only a stone’s throw from Tottenham, where 29-year-old gangster Mark Duggan was fatally shot last Thursday by police after resisting arrest. It was this incident that spurred this weekend’s riots. I would routinely take the bus to Wood Green Tube Station to commute to work – another area that has been targeted by rioters in London. 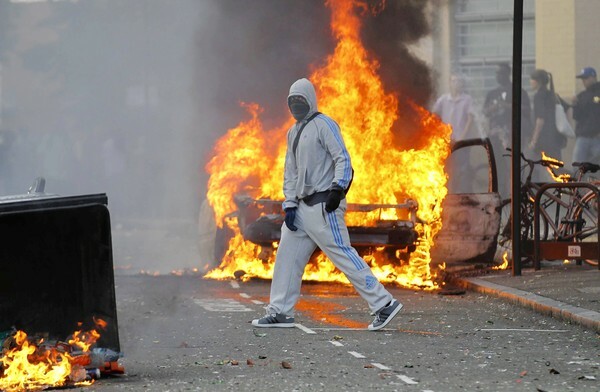 And these riots have continued to spread far beyond the North London borders. To Lewisham, Peckham, Clapham, to the northern cities of Birmingham, Leeds and Liverpool. I’ve been watching the #londonriots tweets today, still in disbelief by how much destruction is taking place and the momentum at which it is spreading. To my friends and family in the UK, please stay safe. Posted on 8, August 2011, in News and tagged London, riots. Bookmark the permalink. 2 Comments. Are your friends and family okay? Thankfully everyone is doing fine, thanks! It was a harrowing week though – very unsettling and our hearts go out to everyone affected.